After all the waiting the new iPad is finally here and as expected the demand for the latest Apple offering has taken Apple by surprise. Here we can compare the new iPad and iPad 2, so that you can decide which features would make you choose one over the other. The latest version of the company’s tablet, which was unveiled on the 7th of March, and hit shelves on Friday the 16th of March. But tablets pre-ordered online will not ship to buyers until the following Monday, March 19, according to the company’s website. Although Apple had promised the newest tablet would arrive at customers’ homes on the launch date. Trudy Miller, an Apple spokeswoman, said the change was made because customer response to the new iPad had been “off the charts,” quickly exhausting the supply set aside for pre-order and delivery by March 16. Both devices have a similar chassis and look very similar however, when we compare the new iPad and iPad 2, the new iPad is slightly thicker and heavier, though this should not be a major concern since they are both much lighter than the original iPad. The main difference is when they are switched on. Screen resolution of the new ipad is 4 times that of the iPad 2, it has a faster processor better graphics and a much better camera and can record in HD. 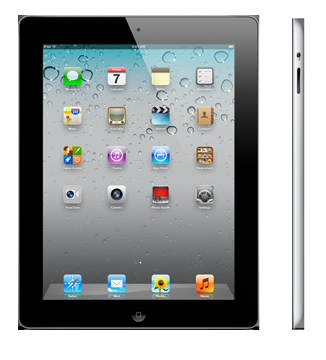 But if these features are not important to you, then the ipad 2 would be a safe bet. Still undecided? Well here is a list of Technical specs to help you decide. Basically, the new iPad has better technical specs overall as you would expect. 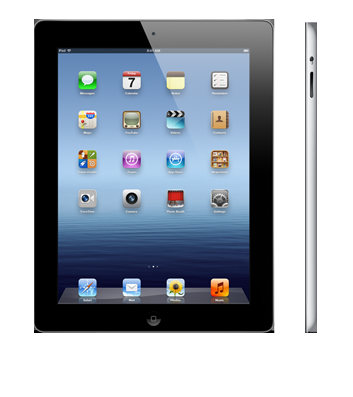 If we compare new iPad and iPad2, the new iPad has a new custom-made processor with quad core graphics, has 1GB of RAM for better multitasking, a 5 MegaPixel camera with backlit sensor versus the mini 0.7 MegaPixel excuse of a camera on the iPad2, a Full HD 1080p video recorder, a high resolution Retina Display similar to what you’ll find on the iPhone 4S and most importantly, it supports ultra-fast 4G LTE mobile connection.